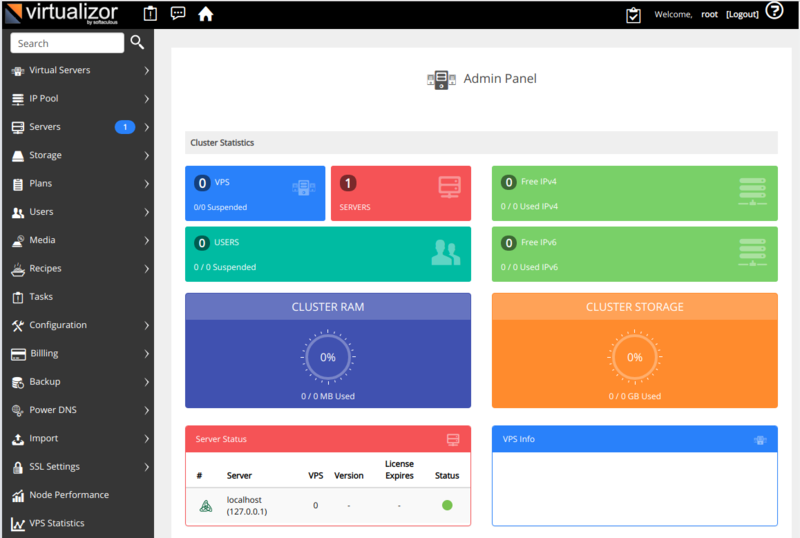 Virtualizor is a VPS management control panel. Virtualizor also support other vitualization technologies like Xen, OpenVZ and LXC. https://IP-ADDR:4085/ User = root PW = password for system user root. PW = password for system user root.